Russia's Divisive Twitter Campaign Took A Rare Consistent Stance: Pro-Gun An analysis of Twitter accounts associated with Russia's influence campaign shows how supportive it was of gun rights and how influential the National Rifle Association's messaging was. The pro-gun messaging by the Internet Research Agency, which once made its home in St. Petersburg, Russia, was unusually consistent as part of influence operations against the U.S.
Russia's influence campaign on Twitter pushed pro-gun and pro-National Rifle Association messages during the 2016 election and beyond — a rare example of consistency in a scheme that mostly sought to play up extremes on the left and right. On every issue, from race to health care, women's rights to police brutality, gay marriage to global warming, accounts associated with the Internet Research Agency sought to amplify controversy by playing up conflict. Except when it came to guns and the NRA. That's according to a new analysis of millions of now-deleted Twitter posts connected to the group, done by NPR in collaboration with an outside data firm. Last year, Twitter notified the House intelligence committee about thousands of accounts it linked to the Internet Research Agency; the social media company has deleted millions of tweets associated with those accounts. But Clemson University associate professors Darren Linvill and Patrick Warren realized that one of Clemson's research labs had inadvertently archived the tweets. This saved a record of Russian influence operations online from 2012 to 2018, with most of the tweets occurring from 2015 to 2017. They provided NPR with a list of posts made by the Internet Research Agency that related to guns and the National Rifle Association. That data was then analyzed to assess the Russian troll farm's messaging and its influence. Download the supporting materials here. The NRA declined to comment for this story. Of the accounts that talked about guns, 60 percent were pro-NRA and pro-gun, while only 15 percent were opposed. And of the content the Internet Research Agency produced that mentioned firearms, guns, the Second Amendment or the NRA, 77 percent of the posts were pro-NRA and pro-gun. To illustrate the reach of the posts, the data analysts calculated the total potential impressions — the number of followers for the accounts multiplied by the number of tweets. Pro-NRA and pro-gun messages had more than 32.4 million potential impressions; anti-gun and anti-NRA messages had fewer than 6.7 million potential impressions. The pro-NRA messages had nearly five times the reach as did the anti-NRA messages. The tweets are overwhelmingly supportive of gun ownership and speak about the NRA in positive terms. There was comparatively little anti-NRA content. That was unusual for the Internet Research Agency, which has typically played up the most extreme opposing sides of controversial issues in the United States. "I can't think of another issue where they don't play both sides in order to strike a wedge between them," said Linvill, who, with Warren, has done extensive work analyzing the millions of the group's tweets on a variety of issues. "It's 100 percent an anomaly ... The gun debate has all the hallmarks of a typical tool in their tool set — but they only use half of it." Linvill and Warren categorized Internet Research Agency-linked Twitter accounts as "left" and "right." The ones on the left talked, for example, about former San Francisco 49ers quarterback Colin Kaepernick as a hero for taking a knee during the national anthem to protest police treatment of African-Americans. Or they supported the Black Lives Matter movement and messaging about Donald Trump's alleged ties to Russia. Accounts on the right talked about Kaepernick as unpatriotic, supported pro-police messaging such as "#BlueLivesMatter" and praised Trump's ability to "drain the swamp." Many accounts that purportedly represented the left — including those that supported Black Lives Matter or were anti-police — also supported gun owners' rights. "They try very hard to mimic the community they're pretending to represent," Linvill said. And on most other topics, they are consistent. "But if you took a random sample of the left-wing accounts they are trying to mimic, I would expect there would be a lot more anti-gun content." The data analysis showed that the Internet Research Agency copied messaging and, at times, specific language from the National Rifle Association. Read more about the word-for-word duplication here. Those accounts generated a tweet that mentioned the @NRA, @NRANEWS, or @NRAILA accounts a total of 199 times. There was a substantial amount of what analysts call "semantic overlap" between the Internet Research Agency and NRA posts — meaning they addressed the same subjects. Accounts connected to both groups stressed how unsafe they said America is, including because of violent threats, and consistently faulted areas by name with strict gun laws. "Sadly the #SanBernadinoShooting is just more proof that #GunControl will never work #Prayers4California," wrote the Internet Research Agency-linked account @DorothieBell on Dec. 3, 2015 in one such example. The account has since been deactivated. The NRA took a similar approach: "Shooting victims come close to 4,000 mark in gun-controlled #Chicago... #2A" wrote the NRA in a typical tweet. The Internet Research Agency and the NRA both regularly discussed gun legislation, zooming in at a state or even city level — both criticizing local laws in areas with heavier restrictions. The Internet Research Agency often pointed out after a violent crime that strict regulations hadn't prevented the shooting. "Tehama County shooter was a felon and legally was not allowed to own or even touch a gun. Criminals don't follow the law! Northern California gun free zones are murder zones," read the tweet from one troll farm account. Added another: "LIBTARD ALERT : NY District Attorney Claims ISIS Is Against Gun Control Bill." 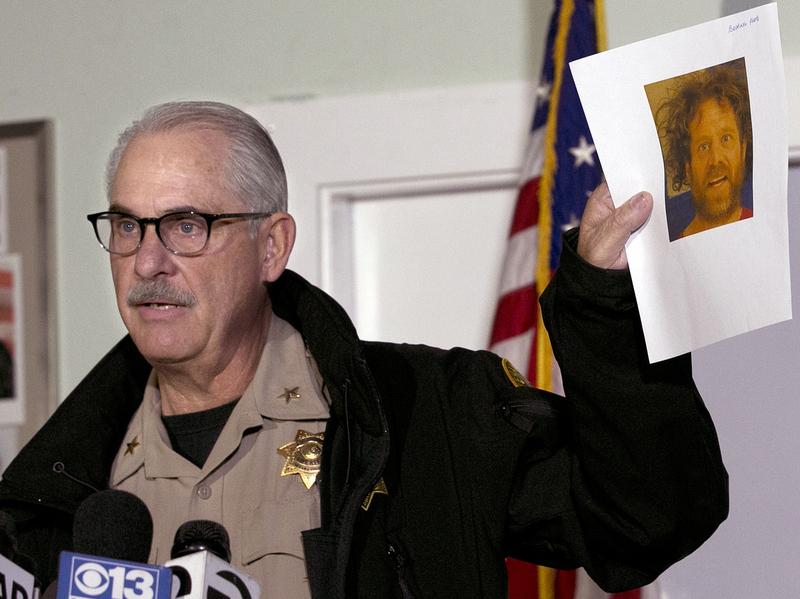 Assistant Tehama County Sheriff Phil Johnston displayed a photo of shooter Kevin Janson Neal, who was behind a series of shooting in November 2017. Russian social media agitators targeted the story. 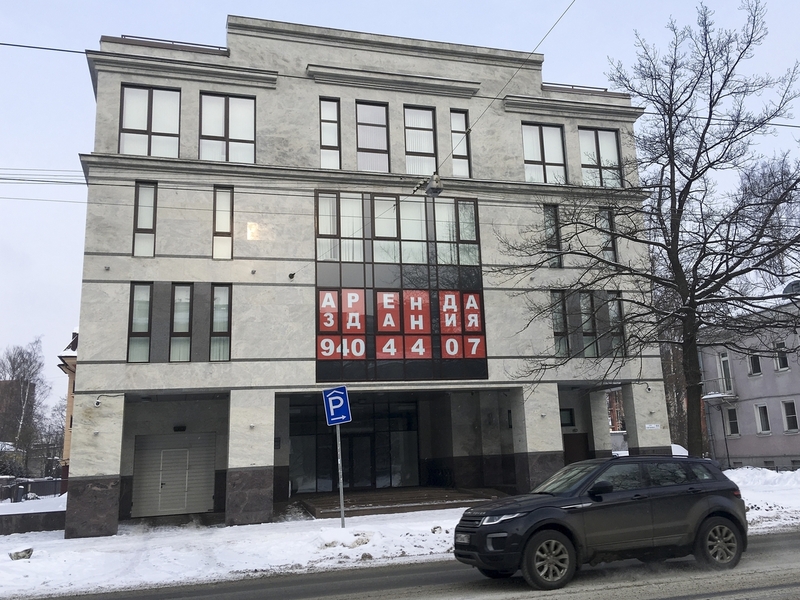 The Internet Research Agency's agitation campaign was run by Russians out of an office in St. Petersburg, according to court documents. How did they know how to pinpoint their political criticisms about the gun regulations in places such as Tehama County, Calif.? "When you're talking about that level of granularity ... it would make it so much more accurate and effective if you had someone on the ground in the United States," said Steve Hall, a retired CIA chief of Russian operations. "If I were a Russian intelligence officer, I would immediately tell my colleagues, 'Look, we need to get some Americans who really understand it and advise us, in order to really have an impact.' "
Russian operatives reconnoitered the United States ahead of the wave of active measures that crested in the 2016 presidential campaign, but it isn't clear how much other information the influence operatives may have been getting from their own colleagues or elsewhere. There were personal connections, however, between the Russian government and the NRA. A woman, Maria Butina, and her mentor, Russian politician Alexander Torshin, both made efforts to develop ties at the highest levels of the NRA. Butina has been arrested and is charged with serving as an unregistered foreign agent; Torshin has been placed under sanction and cannot return to the United States. Some of the Internet Research Agency's accounts were familiar with Torshin, who was deputy governor of a Russian bank. Among the tweets are numerous instances of accounts sending messages to Torshin's Twitter account. At least 10 tweets from eight Internet Research Agency accounts went to him. In some cases, Torshin wrote back. In one message, an Internet Research Agency account sent him holiday greetings. "A little oak leaf tore off from its branch / Was driven o'er the steppe by a cruel gale." An earlier version of this story misspelled Mikhail Lermontov's last name as Lermantov.